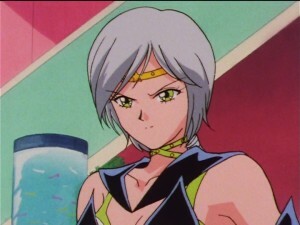 This week’s new episodes of Sailor Moon Sailor Stars on Hulu and Neon Alley are all about Yaten threatening people! First he gets upset at Minako for trying to do the thing he’s doing and then he tries to steal an incense burner from innocent little Chibi Chibi! It’s also all about fetish costumes as Minako auditions to be an idol in all form of ridiculous costume and then the gang dress up as maids for a sort of school run Maid Café. This week also features the double whammy of two piece swimsuits and Usagi holding a child in her arms. 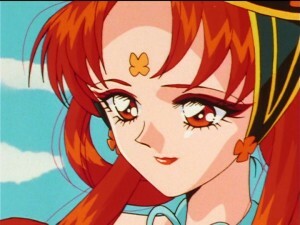 Episode 192, Go for Your Dream: Minako Becomes an Idol, continues Minako’s quest to become an idol. Didn’t we already see this episode? 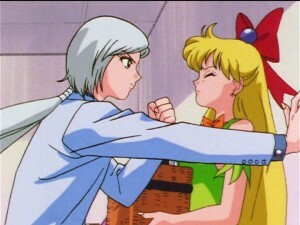 Episode 114 is kind of exactly this as Minako faced off against Mimete to become an idol. 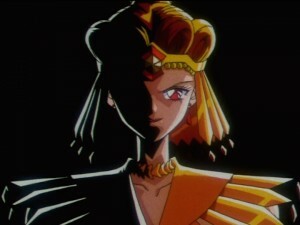 Minako made it to the final five in the episode before losing. 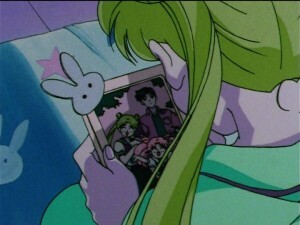 Usagi herself tried to be an idol in episode 7 as well. 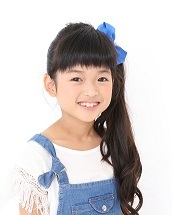 In the live action series Minako is an idol all along, but in the anime she has to work for it! This is a popular topic in Japan. Frankly I was a bit baffled by these kinds of episodes back in the 90s, as such a thing was not that common here. I’d seen shows like Star Search but in this pre American Idol world it seemed to be a bigger thing in Japan. These days there is no shortage of shows which are pretty close to what is depicted here, somewhat of a mix between American Idol and a beauty pageant. 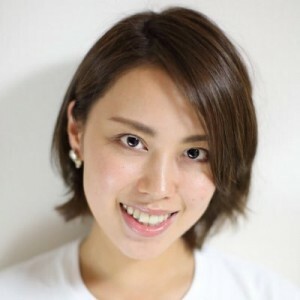 While stars for such shows are often picked with their physical appearance in mind, this is less overtly stated as a requirement than it might be in Japan. What’s more the circus in Japan seems to just be amped up to 11, with competitors showing up with rabbit ears, tuxedos, school uniforms and other costumes that are indistinguishable from cosplay. 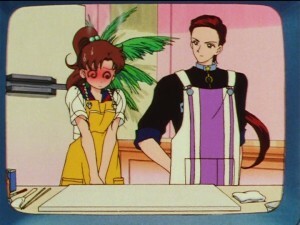 Yaten is real upset at Minako for trying to be an idol. 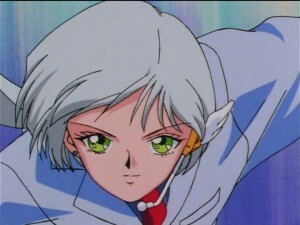 Yaten, an idol himself and member of what is surely the most popular boy band in Japan, thinks being an idol is incompatible with Minako’s duties as a Sailor Guardian. I wonder if throughout this episode Yaten, when coming face to face with Artemis, has noticed that he has a crescent moon in his forehead that looks just like the one Luna has. 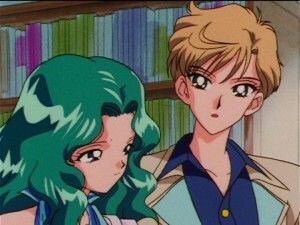 Artemis doesn’t seem to be very jealous of Yaten either, which is odd considering both loves of his life, Minako and Luna, have shown overt signs of being attracted to him. Oh well Artemis and Luna are great at hiding their emotions. They never even talk about their daughter who went back to the future between episodes with no fanfare. The competition of course includes a swimsuit portion. This must be good news to some readers, though sadly Minako only sports a one piece suit. Some other competitors wear bikinis though. Minako performs Route Venus at the competition. 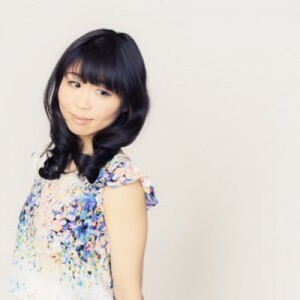 Though this song first appears in Sailor Moon SuperS it is a Sailor Moon R character song for Sailor Venus and is performed by Minako’s voice actress Rica Fukami. 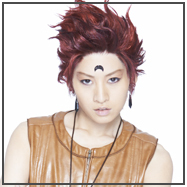 The target this week is Takuya Moroboshi who is like the Japanese Simon Cowell. 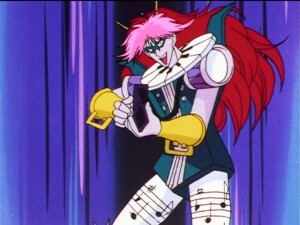 He turns into Sailor Musician who is totally ridiculous looking, like most Phages. 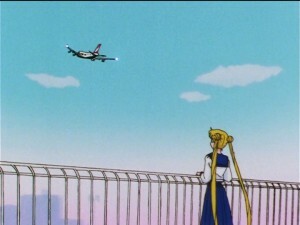 During the fight Usagi asks Luna to watch Chibi Chibi. I always find this funny as Usagi did it to Chibiusa in Sailor Moon R as well. 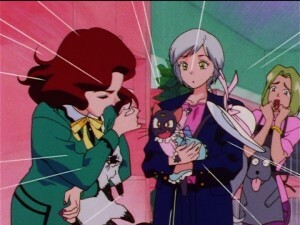 Minako ultimately wins the competition, but decides not to pursue it at this time. I guess hypocritical Yaten got through to her! 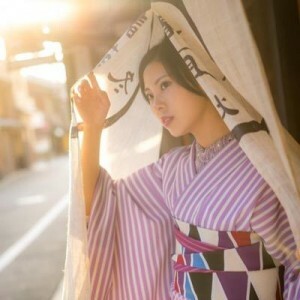 She seems to think she can become an idol at any time because she forgets that she lives in Japan and that her chances of success diminish with each passing year. Episode 193, The Stolen Silver Crystal: Princess Kakyu Appears, is all about a Maid café though I’m not sure it was called that at the time. A little poking around tells me the first Maid Café dates back to 2001 but this episode aired in November 1996. Regardless of the specifics, this a restaurant where the girls dress up as French maids to serve their customers. It’s nice to see these school girls replace the highly fetishized Japanese school uniform with a French maid outfit. 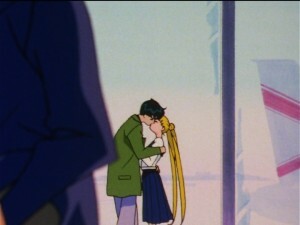 Seiya takes a page from 80s romantic comedies as he appears outside of Usagi’s balcony to chat with her. 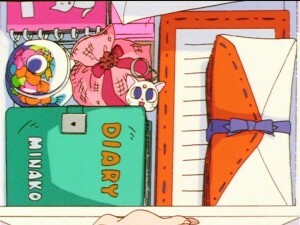 Usagi is there with Chibi Chibi who is dressed a rabbit. Could Chibi Chibi’s rabbit outfit be a clue to her actual identity? No. The rabbit outfit is in no way related to her identity in the anime. At this point on my first viewing I still thought she was Princess Kakyuu which we’re about to learn is not the case. Chibi Chibi got that incense burner a few episodes ago which is surrounded with butterflies and smells like Princess Kakyuu. 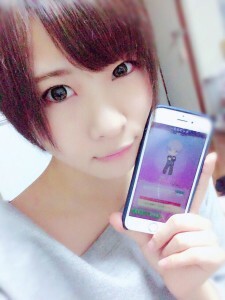 This causes jerk faces Taiki and Yaten to try to get it from her. This is pretty sketchy, seeing large teenage boys threatening a little kid to fork over something. Naturally this causes Makoto and the rest of the girls to come to her defense. 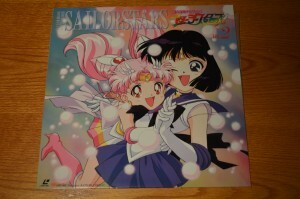 The target this week is … Sailor Moon! 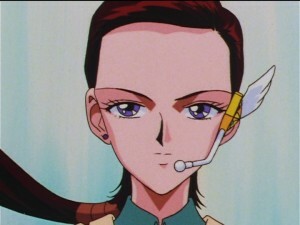 Sailor Lead Crow does something right for a change and targets someone who actually has a True Star Seed. 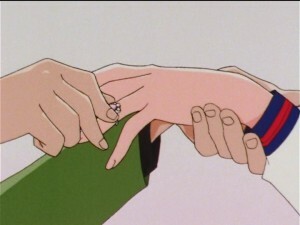 She threatens to destroy the school with a black hole, as if a school which endorsed a fetish café was worth saving, and this seems to work on Usagi who submits to those bracelet things. 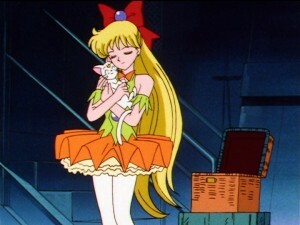 Her Star Seed is the Silver Crystal and when it is retrieved Sailor Moon turns into Usagi. Let’s tease this apart for a moment. A normal person, when deprived on their Star Seed, becomes a Phage who is Sailor something which has to do with their interest. 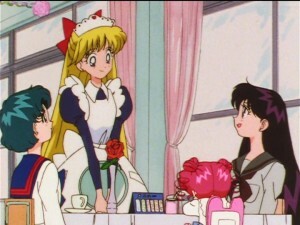 When Sailor Moon loses her Star Seed her Phage is Usagi dressed as a maid, which happens to be what she was wearing before. 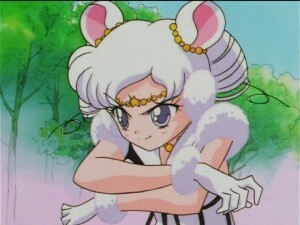 Is Sailor Moon’s Phage Usagi? 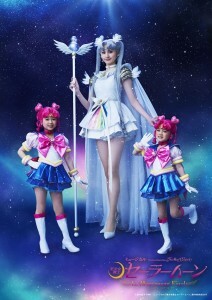 So Lead Crow is sucked into the black hole, because these things are dangerous, and so are Usagi and Chibi Chibi but that’s okay because Princess Kakyuu shows up and it seems like she’s the one to destroy the black hole somehow. Wow it’s great this big climactic thing we were waiting for finally happened. I can’t wait to see what Princess Kakyuu does! 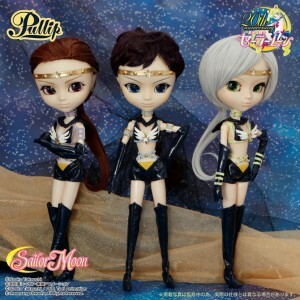 Sailor Starlight Pullip dolls have been announced on the official Sailor Moon site! The Sailor Starlights Sailor Star Maker, Sailor Star Fighter and Sailor Star Healer join many other Pullip dolls already released. There isn’t much in the way of details at this time as we don’t have a date or price for these, though the price point would likely be the same as other dolls, costing between $150 and $180 US when released domestically. Pullip dolls are high quality very expensive dolls with disproportionally large heads and eyes for their size. Different model Pullip dolls are used for different basic figures. 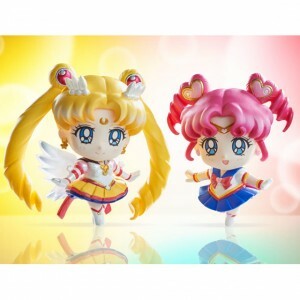 Most Sailor Moon characters are Pullip dolls while Chibiusa and Sailor Saturn are Dal dolls, which are a bit smaller as the basic model is of Pullip’s sister. 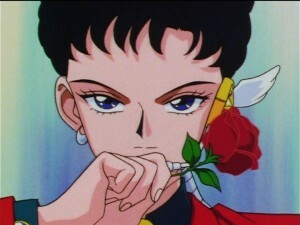 Tuxedo Mask is a Taeyang doll, which is Pullip’s boyfriend. 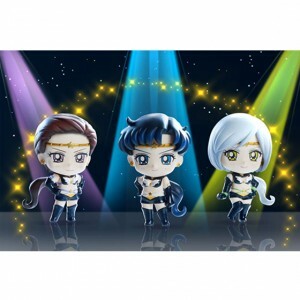 One has to wonder if the Sailor Starlights would have alternate costumes as the Three Lights or, if such a doll were planned, if they would make male Taeyang dolls for the Three Lights Seiya, Yaten and Taiki. 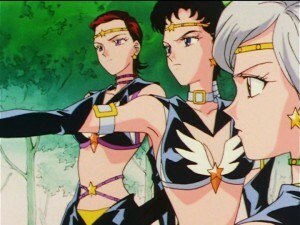 Many of the other Sailor Guardians had civilian costumes as Bandai Premium exclusives. 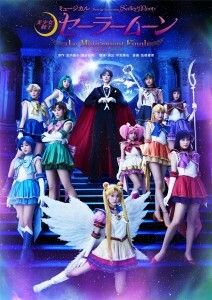 The two latest episodes of Sailor Moon Sailor Stars have been released on Hulu and Neon Alley. Episode 178 and 179 were accidentally released early last Thursday but were taken down after a day, returning once again this morning. This week we get a great Yaten episode and a so so Taiki episode. I hope everyone loves shipping Luna with Yaten!! Episode 178, Luna’s Discovery: The Real Face of Yaten, is an episode in which I don’t believe Luna actually learns that Yaten is Sailor Star Healer as the title seems to insinuate. It is possible that the title is not a reference to Luna learning Yaten’s secret identity but instead seeing his true self under the hard exterior he puts on. More on that later. This episode is all about shipping Luna and Yaten! What a lovely couple! 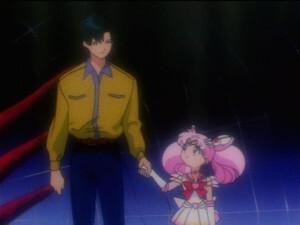 We know that Luna is into humans from the Sailor Moon S movie. We can also infer from her jealousy of Artemis and the Nun she thought he was into as being a further sign of her acceptance that cats can be attracted to humans. 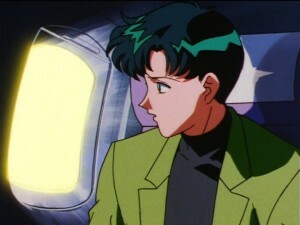 When Luna goes missing it turns out that she’s been with Yaten, living the good life, riding around in limos, overhearing conversations about their mission that don’t reveal a ton. 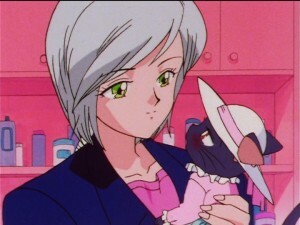 Yaten is shooting a movie with a really terrible woman name Noriko Okamachi, an actress who is always carrying around her persian cat. She hits on Yaten but is quickly shot down. She later accuses him of being gay for turning her down, which causes Luna to scratch her face. 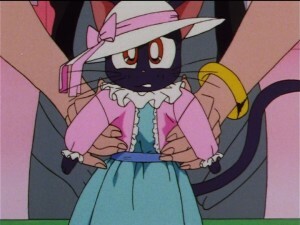 Meanwhile Luna has been dressed up in some adorable/ridiculous girly clothes! Iron Mouse show up and takes Noriko’s star seed. The episode title insinuates that Luna sees Yaten transform, but this does not appear to happen. Luna is injured and left by Yaten who then runs some distance before transforming, seemingly while no one is watching. Naturally should he have transformed in front of a cat, that probably wasn’t something he considered a security risk, but we know it would have been. 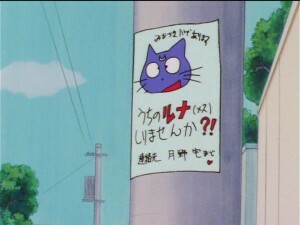 During the fight Sailor Star Healer mentions a cat and Sailor Moon asks if it’s Luna, to which she responds that it sounds like a nice name. 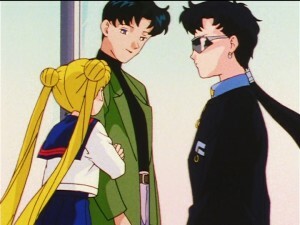 The next day at school Yaten sees Usagi with Luna, referring to her by name. He really should be putting two and two together and figuring out that Usagi is Sailor Moon at this point, but that is a discovery for another time by another person. Episode 179, Friend or Foe? 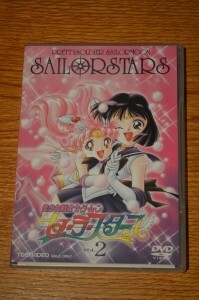 Star Lights and the Sailor Guardians, has a brief appearance by Haruka and Michiru. Great, so where’s Hotaru? Ah no of course we don’t see her. More on them next week! This episode is not about these cool characters we like. It’s about Taiki. Who likes this guy? He read poetry in this episode! Wow what a sensitive guy. Taiki seems to be all about slumming it on bad TV so he’s doing a cooking show this week, and Makoto comes along. This is a bad choice as the producers have clearly not properly vetted their guest to discover that she’s actually completely terrified of being on camera. Usagi to the rescue who manages to pretty much blow up the studio in a cooking mishap. The enemy is Sailor Chef and we see Taiki transform but we kind of already did a Taiki episode so there’s nothing really novel here. This episode includes a special sneak appearance by two new Sailor Animamates Sailor Aluminum Siren and Sailor Lead Crow. They are visible only briefly and partially obscured as we learn that Sailor Iron Mouse is doing a terrible job and is apparently replaceable. Oh no! 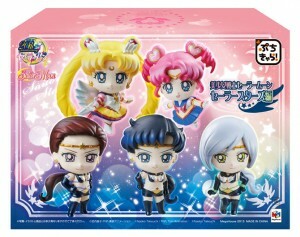 The latest Petit Chara figures have been announced on the Sailor Moon official site and this Sailor Stars set will include Eternal Sailor Moon, Sailor Chibi Chibi and the Sailor Starlights. This set will be released in late September. You can pre-order them from Premium Bandai. Petit Chara figures are non poseable super deformed figures. 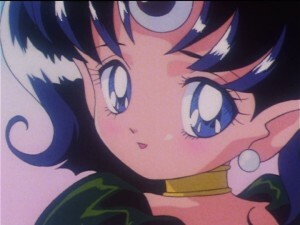 This season of Sailor Moon was never released in North America, though many fans are likely still familiar with the story through fan subs and the manga. Eternal Sailor Moon is simply the powered up form of Sailor Moon for this season. Sailor Chibi Chibi is a mysterious girl of unknown origin, whos actual identity varies depending on what continuity we’re talking about. 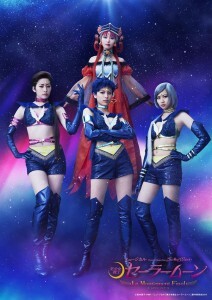 The Sailor Starlights are Sailor Star Fighter, Sailor Star Maker and Sailor Star Healer, Sailor Guardians from another solar system who traveled to Earth in search of their princess. Support the site by buying some of the previously released figures on Amazon. Keep reading for more images of these figures.